I believe with every fibre of my being that the best way to build a better future is through educating the children of the world. A 2014 report conducted by the UN Educational, Scientific and Cultural Organization (UNESCO) states that if all women in poor countries completed primary education, child mortality would drop by one-sixth saving almost one million lives. They also suggest poverty reduction is linked to education and that one year of education is equal to a 10 per cent wage increase, and stops the cycle of transmitting poverty between generations. In-fact, UNESCO says that if all students in low-income countries left school with basic reading skills, 171 million people could be lifted out of poverty. Growing up, I was blessed with incredible educational opportunities and had access to libraries full of books to feed my voracious reading habit. I now have two young boys of my own, and they too have access to wonderful schools, caring teachers, and libraries chock-full of books… As parents – hell, as people – I believe it’s our responsibility to make sure these opportunities are available to all children, everywhere, no matter what. Room To Read, our partner charity reached their 2015 goal by helping 10 million children access quality education. This is a remarkable feet and must more is needed for us to see change in the world. “The benefits of education permeate all walks of life right from the moment of birth,” said Irina Bokova, Director-General of UNESCO. The same report says if all women completed primary education maternal death would be cut by two thirds saving 189,000 lives each year, according to UNESCO. 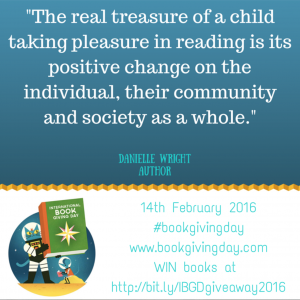 This is why our Gold Light Project with Room To Read is so important and close to my heart. My energy has been funnelled and focused into building a Sleepy Magic school for children in Nepal– yep, a whole school. But we need $37,000 to make it happen – a humbling amount, that I know we can achieve. It’s amazing just how far an investment in education can make in the developing world – just $1 can put a book in the hands of a child in their local language, $50 could fund a child’s first year of learning to read… Together we really can help change the world! To help us achieve our goal head here.